Relax and enjoy the treatment at Almond Hotel. Strategically located in the heart of Phnom Penh, The Almond hotel is a walk away from landmarks such as Independence monument and the Royal Palace. Visit the local tourist attractions including Wat Phnom, the city’s museums and the beautiful riverside along the Tonle Sap and Mekong rivers. The hotel suits business travellers as well as pleasure travellers. 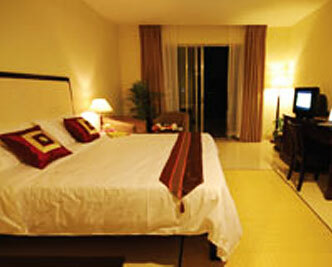 The hotel enables our corporate clients to conduct business seamlessly in a comfortable surrounding. A business center, Wi-Fi internet access throughout the hotel, and attentive service from our professional staff, facilitate a productive and stress free visit to the city.